Who is this Sharon Lady on the Nats? When you play for the Nationals you can’t expect much media attention; after all, who wants to cover a team that is so consistently miserable. So, for Shairon Martis, who currently leads the team in wins with 5, it isn’t super surprising that no one is paying attention to any of your actions. At least though, you can take solace in that moment, when for the first time as a professional baseball player you can see yourself memorialized on a baseball card. Shairon won’t ever have that proud moment thanks to a misprint from Topps where they write his name as “Sharon.” Nicely done Tooops. I mean Topps. Even worse, a misprint card is usually worth a couple bucks, but since it is a Shairon Martis card, and he’s a Nat, and Topps made thousands upon thousands of these, it’s probably not worth more than a dollar. Sigh. 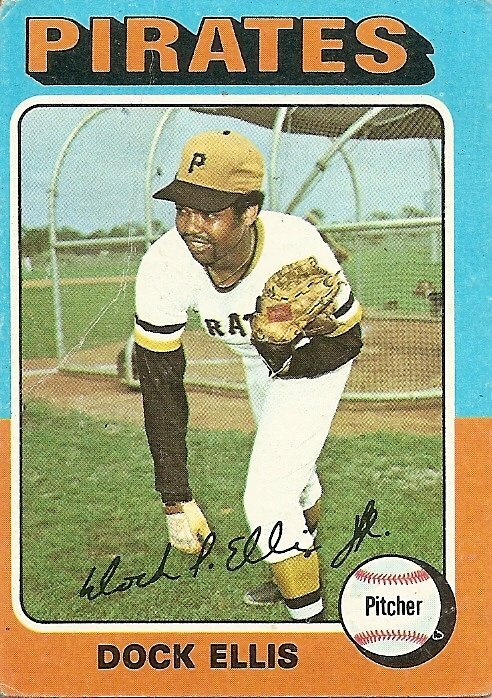 Baseball cards used to be the coolest thing ever, of course, I was 8 at the time and little else going on…now I have wireless internet, so I’m gaining in the world! Unfortunately, baseball cards have become a dwindling industry, going from being a billion dollar powerhouse to a $200 million pathetic hot mess. So, in an effort to spice up their fortunes, Topps is looking to completely revolutionize the way cards are looked at. Taking your new Topps cards and placing them in front of your computer’s webcam and the picture on the card will turn 3-D! Move the card and the player will rotate with you letting you see everything, even his rippling muscles! I know that, like most of America, you were sitting around over the holiday weekend, watching a baseball game and thinking to yourself, “Sure, these professional baseball players look good now, but I’d really much prefer to see them in their infancy stages, to appreciate them better.” Well, good news! Team Baby Entertainment, the premier producer of an award winning series of officially licensed sports themed children’s DVDs, has teamed up with Topps, the leading creator and marketer of sports cards to distribute limited edition trading cards featuring photos of favorite MLB players when they were babies. This is the first time ever that MLB players have lent their baby photos to be featured on Topps cards, making them instant collectibles. For example, here is David “Big Papi” Ortiz in a young larvae phase. As a Sox fan, this is a MUST HAVE, I mean, it’s David Ortiz as a child! I would also like to have a copy of Manny Ramirez’ childhood physicals, Dustin Pedroia’s letters to the tooth fairy and if possible, Josh Beckett’s jammy-jams booty pajama’s, especially if they were the same dope superhero ones that I had. Among the other players who will have their baby pictures used include the Yankees’ Johnny Damon, David Wright of the Mets and Dodgers catcher Russell Martin. I just know fans across the country will soon be clamoring for more teams and players to be represented baby-style, you haven’t lived until you’ve seen Adam Dunn with tapioca smeared across his infant face.